Ian Williams has been Professor of Theoretical Organic Chemistry at the University of Bath since 1995. He has many years’ experience in the application of computational methods to the study of problems in physical organic chemistry. Born in Bournemouth, England, he studied at the University of Sheffield and gained his PhD under the supervision of James McKenna. He then spent two years in Richard Schowen’s laboratory at the University of Kansas, five years as a Royal Society Pickering Research Fellow at Cambridge in the sub-group of Theoretical Chemistry, and four years as an EPSRC Advanced Fellow in Bristol. Since his first appointment at Bath in 1989, he has taught physical organic and computational chemistry to all years of the Chemistry programmes and is currently a Director of Studies. 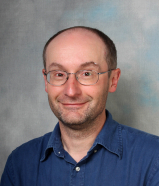 His research uses computational modelling and simulation as tools to aid the interpretation of experimental observations, and he has published on a broad range of topics from atmospheric chemistry to enzyme mechanisms. A past Chair of the Royal Society of Chemistry Theoretical Chemistry Group and UK representative on the EuCheMS Division of Computational Chemistry, he now serves on the IUPAC Subcommittee on Structural and Mechanistic Chemistry, which has responsibility for the ICPOC international conferences on physical organic chemistry, and he chaired ICPOC21 in the UK. 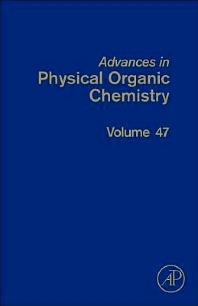 He is no relation to the other Co-Editor of Advances in Physical Organic Chemistry! Nick Williams has been Professor of Physical Organic Chemistry at the University of Sheffield since 2011. He has many years experience in experimental studies that are focused on understanding mechanism and reactivity in organic chemistry. He studied for his first degree at the University of Cambridge, where he stayed for his PhD under the supervision of Tony Kirby. After a further short post doctoral period and a position as temporary lector in organic chemistry at Trinity College, Cambridge, he spent two years at McGill University in the laboratory of Jik Chin as a Royal Society/NSERC research fellow. He was appointed to a lectureship in Sheffield in 1996, where he has remained since, and has taught physical organic chemistry at all undergraduate levels and is currently Chair of the Curriculum Committee. His research involves the design, synthesis and analysis of organic and inorganic compounds to dissect and quantify contributions to reactivity and catalysis. This has been particularly focused on biologically relevant reactions and artificial models that functionally mimic natural systems, but has embraced topics as diverse as light induced surface patterning and transmembrane signaling. He has been a past chair of the Royal Society of Chemistry Organic Reaction Mechanisms Committee (renamed the Physical Organic Group at the end of his tenure) and took a particular effort to provide events to nurture the younger physical organic chemistry community. He is not related to the other Co-Editor of Advances in Physical Organic Chemistry!